More than four years after Navy Lt. Rebekah Daniel bled to death within hours of childbirth at a Washington state military hospital, her husband still doesn’t know exactly how — or why — it happened. Walter Daniel, a former Coast Guard officer, demanded explanations from officials at the Naval Hospital Bremerton, where his wife, known as “Moani,” died on March 9, 2014. He says he got none. No results from a formal review of the incident, no details about how the low-risk pregnancy of a healthy 33-year-old woman — a labor and delivery nurse herself — ended in tragedy, leaving their newborn daughter, Victoria, now 4, without a mom. Daniel, who now lives in Dublin, Calif., filed a wrongful death lawsuit in 2015, but it was dismissed, as were subsequent appeals. The dismissals were based not on the facts of the case but on what’s known as the Feres doctrine, a 68-year-old federal ruling that bars active-duty military members from suing the federal government for injuries. 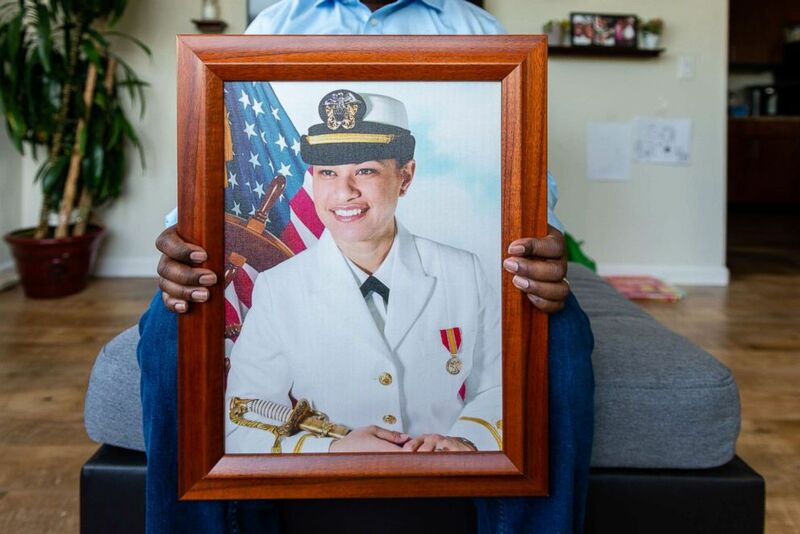 (Heidi de Marco/KHN) Walter Daniel, a former Coast Guard officer, holds a photograph of his wife, Navy Lt. Rebekah Daniel, known as "Moani." She died hours after giving birth to their daughter, Victoria, at the Naval Hospital Bremerton. Daniel says he received no details about how the low-risk pregnancy of his healthy 33-year-old wife, a labor and delivery nurse, ended in tragedy. This week, Daniel is taking his quest for answers to the U.S. Supreme Court. Through his lawyer, he petitioned the high court on Thursday to amend the 1950 ruling, creating an exception that would allow service members to sue for medical malpractice the same way civilians can. The military health system, with 54 hospitals and 377 medical clinics, serves about 9.4 million beneficiaries, including nearly 1.4 million active-duty members. “I don’t want this to happen to any other family,” Daniel said. The Supreme Court hasn’t considered the Feres doctrine in more than 30 years, since the 1987 case U.S. v. Johnson, where the justices ruled 5-4 to uphold the ruling. That decision drew a scathing dissent from Justice Antonin Scalia, who declared the rule should be scrapped. “Feres [v. United States] was wrongly decided and heartily deserves the widespread, almost universal criticism it has received,” Scalia famously wrote. (Heidi de Marco/KHN) Walter Daniel plays with daughter Victoria near their apartment in Dublin, Calif., on Sept. 27, 2018. Since then, however, the court has refused to accept at least two petitions that would have allowed reconsideration of Feres. And chances are slim now. Of the 7,000 to 8,000 cases submitted to the Supreme Court each term, only about 80 are accepted. 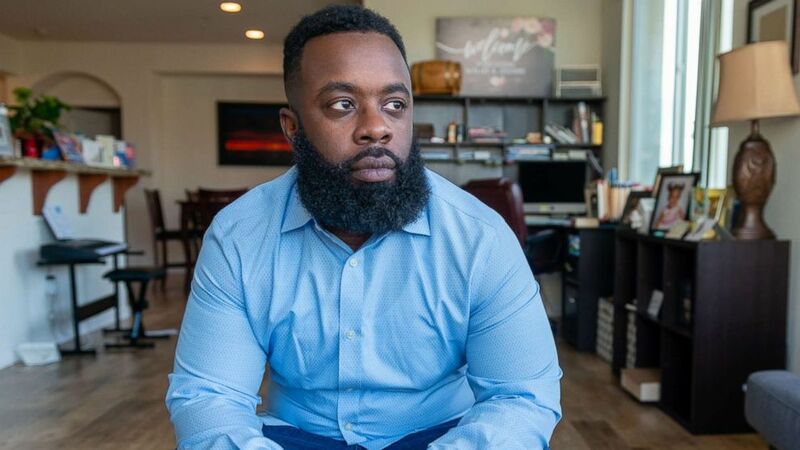 But Daniel and his lawyer, Andrew Hoyal of the Luvera law firm in Seattle, insist that the circumstances of Moani Daniel’s death warrant new scrutiny. “We thought if we’re ever going to take a shot at the Feres doctrine, this is the case to do it,” Hoyal said. “It was clear negligence. It was an awful situation. And every civilian in the country would be able to bring a lawsuit to get accountability, except for members of the service. Daniel disputes the findings of a Navy autopsy that concluded Rebekah Daniel died of “natural” causes possibly linked to an amniotic fluid embolism, a rare, hard-to-prove complication of childbirth. (Heidi de Marco/KHN) Walter Daniel, a former Coast Guard officer, filed a wrongful death lawsuit after his wife died following childbirth at a military hospital in 2015, but it was dismissed based on a 68-year-old federal ruling. After two failed appeals, he petitioned the U.S. Supreme Court to allow active-duty service members to seek legal damages for medical malpractice harm the same way civilians can. Daniel claims that his wife — who worked in the maternity unit where she delivered her baby — died from botched medical care that failed to stop her from hemorrhaging nearly a third of the blood in her body. Doctors failed to perform vital tests, to employ an obstetrical balloon — a standard device used to halt postpartum hemorrhage — and to start massive blood transfusions until too late, court documents claim. Just four hours after the birth of her 8-pound, 7-ounce daughter, Moani Daniel was dead. “I was in shock,” recalled Walter Daniel. Capt. Jeffrey Bitterman, commanding officer of Naval Hospital Bremerton, said in an email that the circumstances of Moani Daniel’s death were “thoroughly examined in a quality review process.” The results of the review cannot be publicly released, he said, declining further comment because of pending litigation. Walter and Moani Daniel, who met in Hawaii, had been married nearly a decade when she became pregnant in 2013. Moani Daniel had a son, Damien, now 19, from a previous marriage. Moani Daniel loved her job, but she had submitted her resignation to the Navy months earlier and was set to leave the service in April 2014. Walter Daniel had accepted a job in Northern California, where he had moved with Damien to get him settled in school. The day after his wife’s death, Walter Daniel returned to her empty apartment. They reasoned then that the military provides comprehensive relief for injuries or death of service members and their families — and that there’s no parallel with private liability because the relationship between the government and its armed forces is distinct. Later, the court insisted that a primary reason for barring such lawsuits is to maintain military discipline. But the decision, particularly the definition of “incident to service,” has been debated fiercely for years by scholars and, at least twice, in bills before Congress. The rule, however, has been interpreted to include not just military duty, but virtually any activity of an active-duty service member, said Richard Custin, a clinical professor of business law and ethics at the University of San Diego. Custin and other critics claim the Feres doctrine strips military members of a constitutional right to seek redress for grievances, while also allowing military hospitals and doctors to escape scrutiny for negligent care. Military hospitals reported 545 so-called sentinel events — medical omissions or errors — from 2014 to 2017, according to Defense Health Agency data. In 2014, Naval Hospital Bremerton reported at least one case of postpartum hemorrhage or hysterectomy. But such reports aren’t public, so Daniel doesn’t know whether his wife’s case was included in those records. A 2014 review of military health care found the rate of postpartum hemorrhage was consistently higher in military hospitals than the national average, Hoyal noted. “What they do in the medical arena is no different than what civilian hospitals do and they should be held to the same standards as civilian hospitals and civilian doctors,” Hoyal said. Officials with the Department of Defense declined interview requests regarding the Feres ruling. In an email, however, an agency spokeswoman said that overturning the rule would “destroy the premise” of no-fault workers’ compensation available in the military and elsewhere. It would also “create an unsustainable inequity” between military members allowed to sue and others, such as those injured in combat, who couldn’t. Custin, the law professor, said he sympathizes with Daniel, but isn’t optimistic that the court will view the case differently than other medical malpractice claims. “What this attorney needs to do is somehow distinguish Daniel from the long line of victims that have been maligned by Feres,” he said. Hoyal intends to argue that the Supreme Court’s rulings regarding Feres have been inconsistent and irreconcilable. In decisions that followed Feres, the court rejected its own “parallel liability” argument, said Hoyal. And it has never ruled that medical decisions like those at stake in Daniel’s case would undermine military discipline. Such an argument may well sway an increasingly conservative Supreme Court that now includes justices loyal to Scalia’s views — as well as progressives inclined to support workers’ rights, said Dwight Stirling, chief executive of the Center for Law and Military Policy, a Southern California think tank. Walter Daniel hopes so. 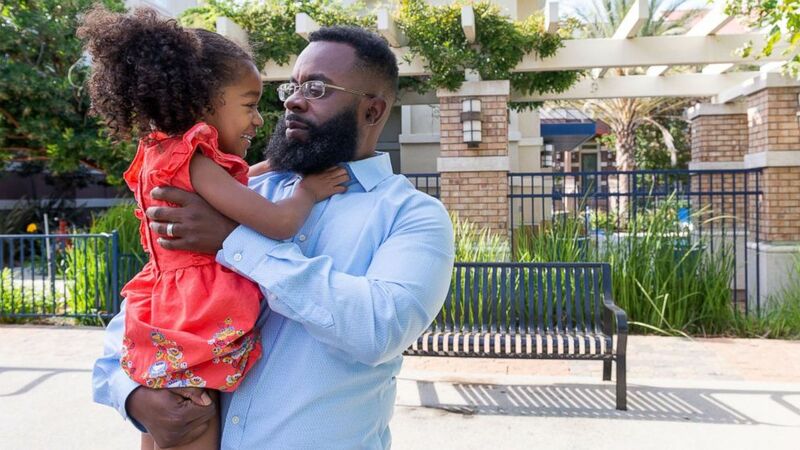 After raising Victoria as a single dad for four years, he left the Coast Guard, recently remarried and returned to college to study to become a high school teacher. Even as his life moves on, he said, he hopes Moani Daniel’s case will provide justice for others.